Do you suffer from peanut allergies? Let sunbutter come to your rescue! Sunbutter doesn’t taste exactly like peanut butter, but it’s a really great substitute. Peanut butter shakes are so creamy and delicious, which inspired me to make this one made with sunbutter. I have an obsession with the TV show Friends- like serious obsession. It’s my favorite show & my therapy when I’m feeling bad. You know like when you’re having one of those “isn’t that just kick you in the crotch, spit on your neck fantastic” kinda days. So naturally, my 3 (yes, 3!) 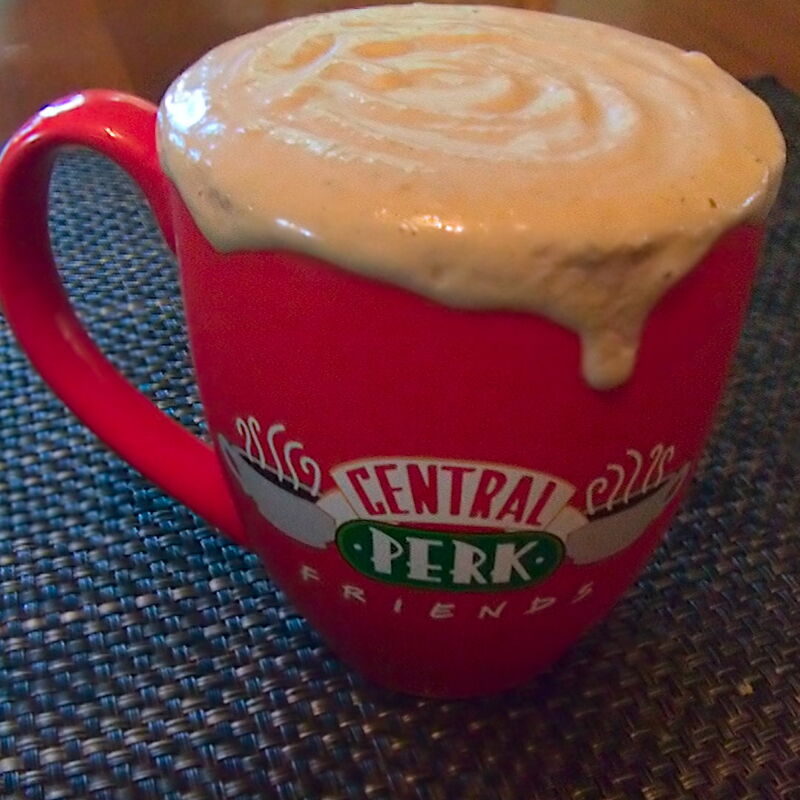 Central Perk mugs are my favorites. 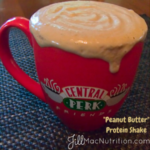 This protein shake is super delicious, thick, & creamy. If you do fine with peanuts, you can go ahead and replace the sunbutter with peanut butter if you prefer. <– This is the protein powder that I use. Click on it to order via my Amazon affiliate link. <– This is the collagen that I use. Click on it to order via my Amazon affiliate link.